Kim Ramsey is the President and Founder of The Executive Edge®, Inc., a niche national consulting firm that specializes in accelerating the growth of organizations, teams and their leaders. She has over 25 years of experience in strategic planning, executive coaching, executive team development, accelerated leadership development strategy, change management, organizational design, 360 feedback, mentoring, design of performance management systems and more. She routinely works with Fortune 500 clients and their executive teams to design and implement organizational and leadership development initiatives resulting in tangible business improvements. Prior to founding The Executive Edge®, Inc., Kim led Executive and Leadership Development at the AT&T/Ameritech Institute where she was responsible for coaching and developing the corporation’s most senior executives across North America. She received national recognition by the Corporate Leadership Council, Linkage Inc., ASTD and the International Productivity and Quality Council (IPQC) for her “best practices in developing & retaining high potential talent.” She also led Organizational Development and Leadership Development for ACNielsen’s North American business. In addition, her experience included leading the Human Resources organization for SONY’s Consumer Electronics Group for the Midwest Region and a start-up operation in Nuevo Laredo, Mexico. 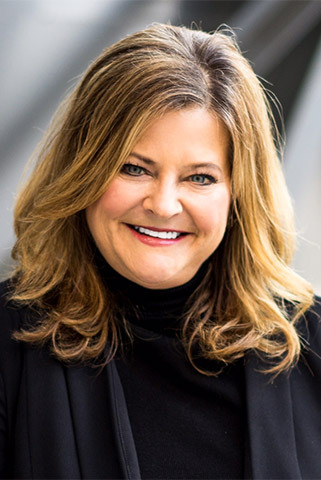 She has held additional leadership positions at Harris Corporation and the Tribune Company overseeing the executive leadership and organizational development efforts for 26 business units across the country. Design and facilitation of strategic planning processes which result in a long-range vision and breakthrough strategies which can propel business growth through laser-beam focus. Kim has spent her career partnering with organizations in transforming themselves by creating strategic focus and then aligning the design of their strategy, organizational structures and talent necessary to succeed. She has done executive coaching and change work in start-ups, fix-its and mergers across numerous industries. Kim uses her strong business acumen as a way of building solutions that engage business leaders and help clients create and implement sustainable culture initiatives to overcome the issues that challenge them. Kim has presented at numerous conferences including the International Quality and Productivity Center, Leadership Development Congress, Society of Human Resources Management, Linkage, American Press Institute, Women in Communication, Women in Wireless, Best Practices HRD Conference, American Society for Training and Development and the Midwest Training Conference. “I engaged Kim as I was seeking a partner who would help us to drive accountability and focus on the strategic priorities of our company. Kim did her homework to develop a strong grasp of our organization prior to our first meeting. Her ability to probe to the heart of issues we were facing, and provide the feedback we needed, was the first step in building a strategy to make us more effective was truly exceptional. Kim helped us build a framework for strategy development and accountability that is still in place today, more than three years now since we partnered with the firm. The enduring legacy of this partnership has left our team stronger and more focused and I would not hesitate to recommend Kim and The Executive Edge to another company looking for partner who can deliver sustainable improvements for their own organization. – President/Executive Vice-President, Harris Private Bank/Harris myCFO, Inc.
“As both a member of the advisory committee at DeVry that partnered with Kim Ramsey to create the organization’s high-potential leadership development program and as a graduate of the first class of the program itself, I have a unique perspective on how the firm has been able to partner with our organization design and implement strategies that produce a continual stream of ready-now talent for key leadership roles throughout the company. Kim and The Executive Edge team proved to be a tremendous business partner. I believe the leadership competency development, high-potential leadership development, and executive coaching programs implemented are some of the finest programs that have been created to develop leaders in any organization. What we have accomplished to date as a result of our partnership with Kim has been truly remarkable and I would not hesitate to recommend her to another organization looking to develop their current and future leaders.” – Campus President, Sherman Oaks, California, DeVry, Inc.
Kim’s global clients include: Ace Hardware, RR Donnelley, ACNielsen, ComEd, McDonald’s, Navistar, Sara Lee, Follett Higher Education Group, Chicago Tribune, AT&T, Equity Office Properties, Discover Card, Sears Roebuck, DeVry Inc., University Health Systems, Forsythe Technology, Pepsi, SecurityLink, Sterling Partners Private Equity, Crowell & Moring, LLP, CertainTeed, University of Chicago Law School, Ross Medical University, Bel Brands USA, Principal Financial Group, True Value, Publicis Groupe, Stoel Rives, LLP, BMO Harris, Elkay Manufacturing, Ross Stores, Jones Lang LaSalle and more. Her clients appreciate the keen sense that Kim possesses for understanding the challenges and complexities of driving change to achieve tangible business results. In August, 2005, she was admitted into the Manchester “Who’s Who in America” based on accomplishments in the field as well as the Strathmore “Who’s Who in America” in 2013. Her work was also recognized by the Corporate Leadership Council, a division of the Executive Board, an internationally recognized business research organization as a best practice in developing high potential leadership development strategies (February, 2004.) She was featured in Training Today for best practices in “Measuring the Impact of Superstar Development.” She has also been awarded Ameritech’s Small Business “President’s Award” for launching a corporate-wide strategy for developing leaders of the business. She received recognition for “Superior Leadership” from the Ameritech Institute as well. Kim has served on numerous boards including the Midwest Training Conference board for five consecutive years as well as her service as Vice-President of the American Society for Training and Development (ASTD) and President of Toastmasters International for 4 consecutive years. Kim holds a Master’s degree in Human Resources from the University of Illinois School of Labor and Industrial Relations, Champaign-Urbana and a Bachelor’s degree in Industrial Psychology, also from the University of Illinois. She currently serves as the Vice-President of Programs for the Chicago chapter of the Association for Strategic Planning and the Chairperson of the Chicagoland HR Consortium. In the past, she served as a Vice-President, Programs for the American Society of Training and Development, and an elected member of the Board of Advisors for the University of Illinois, Graduate School of Labor and Industrial Relations for a three year term. She is also a member of the National Association of Woman Business Owners, Society for Human Resources Management, Organizational Development Network, the National Association for Strategy Professionals and the Chicago Human Resources Management Association, a professional association for advancing Human Resources. Lastly, she served as Parish Council President for the last three consecutive years for the second largest Catholic church in Illinois. Kim, her husband Paul, and their four children reside in the western suburbs of Chicago. She enjoys spending her spare time with family travelling, boating, snow and water skiing.